Have been wanting to suggest this place to my readers or to anyone who like me loves to eat.This restaurant is in Powai which is like Europe of India. Powai is bustling with restaurants. My cousin who stays there says that clothing showrooms open and a few months later a new restaurant pops up on it's place. People in Powai love to eat out. This restaurant is multi-cuisine and serves both veg and non-veg food. It has lunch and dinner buffet with numerous options. I celebrated my birthday recently and had a lovely family dinner here. My parents had come down from my home-town for my birthday,my mother always makes us light diyas on occasions like birthday, wedding anniversary. This restaurant is huge and even then it's always packed. Food just keeps flowing in and honestly you get totally full before heading for main course section. While you are waiting ,(if you haven't done reservation beforehand) they welcome you with a drink. Once you get a place, first in is a platter of bread which comprises of pita, garlic bread, soft bun served with hummus, pesto, salsa, garlic butter and other accompaniments. Then they get the lovely barbecued paneer, mushrooms, baby-corn, broccoli, potatoes and FYI these all have different marination. They also serve quesadilla, pizza and dumplings. For main course, there are variety of options which include six different salads, 5-6 vegetarian mains, live pasta and risotto counter and 10 different desserts. Must have is black dal and Thai curry. I love different sauces they serve with ice-creams,my favourite being caramel sauce. I recommend you to either fast or purposely not eat too much before going to Segree because food will just keep coming. Make sure to have a good appetite. 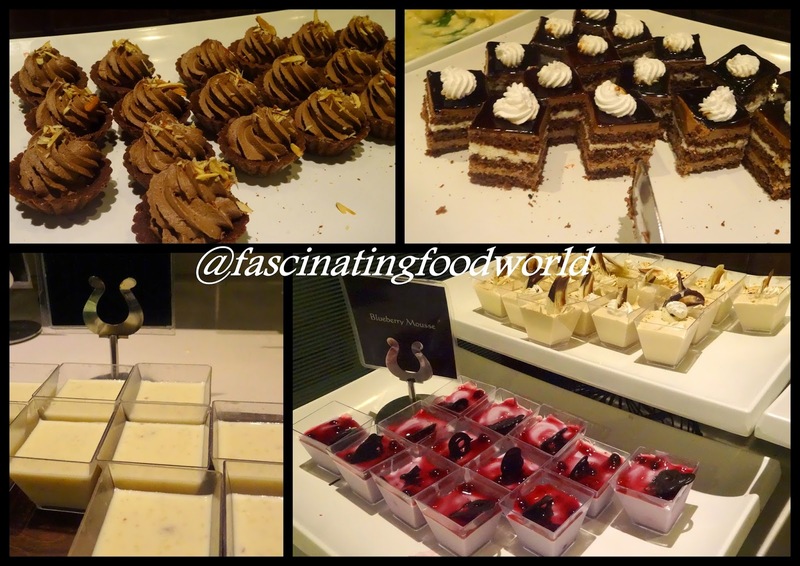 Go on and have a scrumptious buffet at Segree next time you want to go out for dinner. Segree is a food paradise for non-vegetarians too.